I read it as a young adult in the 1990’s; it planted the seeds that finally sprouted in Grow Christians. What you are reading exists because of Gertrud! 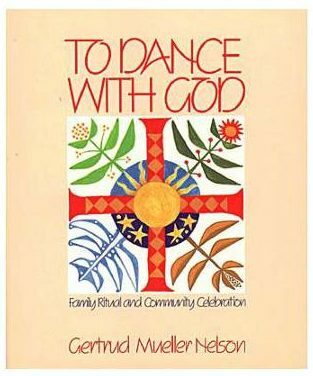 Gertrud, To Dance With God was the book that opened my eyes to the potential of living in a way that was deeply faithful, seasonal, and enjoyable. Many in my generation find it both a continuing inspiration and a classic of the Christian faith. Who were the people that inspired you as you were writing it? Who in the generation before you was your example? First of all, my parents were a great inspiration, because that’s the way we lived our family life. They were “students” of the great German liturgist Romano Guardini in the 1920s or 30s in Germany. They carried their traditions (and the first three of us kids) to the new world and raised us with every attention to the season of the year and the mystery of the church seasons. My mum wrote a classic pamphlet for Liturgical Press called Family Life in Christ. It had an impact. My folks were active members of the Liturgical Movement with the Monks of St. John’s Abbey in Minnesota. They were both Ph.Ds in Sociology. Jung made enormous sense to me. Reading his work just strengthened and underlined my faith and showed me how archetypal were the folk customs and practices that surrounded the sacramental and seasonal life of the Church. Symbol, ritual, story, archetype were “justified” for me. This was a world that had a long, deep taproot into the unconscious. Heaven and Earth are united in the world of symbol and ritual. We took our young family to Zurich to study at the Jung Institute. I studied myth and fairy tales with Dr. Marie Louise von Franz. 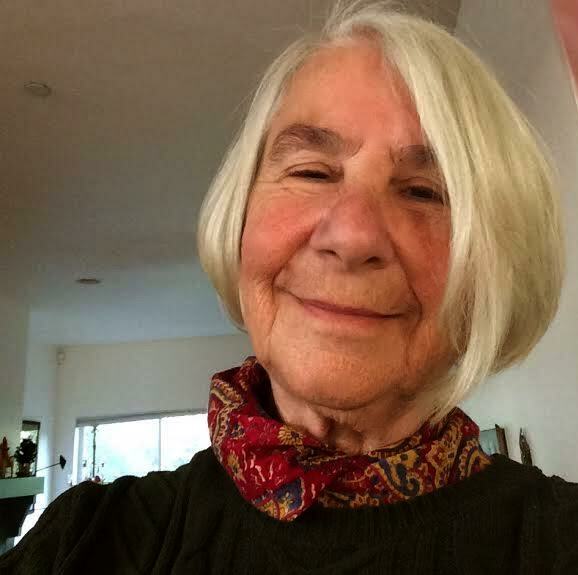 I was raising my family with what I had learned in my own family but was feeding all this with greater insight, more reading, work with Jung, Montessori and with liturgists. I think every reader of this blog should read To Dance with God. 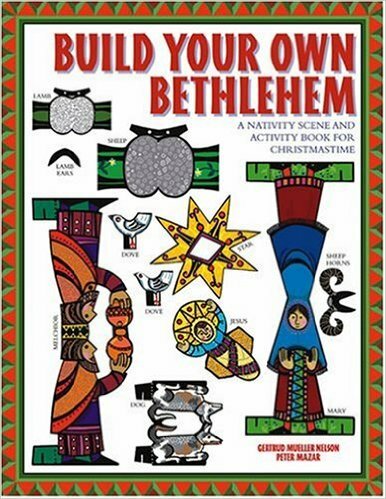 But in this season, our readers might be interested in your book for the Christmas season, Build Your Own Bethlehem. Can you tell us something about how that book is meant to be used? The description suggests that the figures can be part of a family’s celebration all the way until Candlemas! How would that work? I first drew all the figures for this creche for my own kids. They made suggestions, helped, colored, played with the figures like it was a moving stage. First we used the angel for Mary and the annunciation. Mary needed a dog. We made her a dog. Then we needed Joseph. He needed a donkey. We made him a donkey. We had them traveling over hill and dale (tea table and bookshelf) and going from bedroom to bedroom in the house, looking for a place to stay as they were going to Bethlehem. Each child got to harbor the expectant couple in their room for a day or two… and then on to Bethlehem! Then we made a stable. Well, it needed someplace for Joseph to heat water. Huh? Ok. It has a fireplace. It has a ladder. Now it has a pot of hot pea soup! What about the ox “all white and red?” We made the ox. Or the dove in the rafters high? We made a dove. Eventually Joseph and Mary arrive at the stable. There will be a BABY BORN. He is Christ the Lord! We need a feeding box! So it went. The kings are processed with songs and “trumpets” from room to room looking for the Christ. They arrive on the eve of Epiphany. Many little dramas take place at that stable with the sheep, the Holy Family… kings and shepherds. Stories are made and told and enacted—Herod! Oh and we flee to Egypt and there is finally the presentation of this child in the temple with those old church-rats, Anna and Simeon who burst out with the “Nunc Dimittis.” Lots of chances to enter the infancy narratives—to learn carols, songs and hymns and to bring us right up to February 2nd. Finally, Gertrud, what have you noticed, in the years since To Dance with God was first published, that you would consider ongoing examples of this continued tradition of keeping the feasts at home, beyond your own work? Whom do you look to for continuing inspiration? Well, I am most concerned that home and church are bound together in such ceremonies and rituals. Extra-liturgical rites, game, rituals, sacramentals point up and underscore the Liturgy itself. Liturgy is Holy Play! The rituals I bring up in To Dance With God are mostly ancient. I didn’t make them all up. They have history to polish them. They have experience to brighten them. The best rituals and ceremonies are old like that. I just couldn’t cozy up to America’s Santa Claus where you go with your I WANT list and beg for and expect everything you want. I needed to clean that image up and go back to the original archetype of a benevolent Father figure who teaches us how to GIVE as well as receive. He frames Advent for us and points to THE GIFT who is coming. He teaches us how to step over our hungry egos and give gifts without an ego attached. To give, as he did, in secret. To give as God gives. I love the sacramentality of ordinary things—things we use or see or find in our every-day lives. It’s just not that fancy! It’s simple things given in ceremony…. Where do I find more on keeping feasts at home? I think I laid out the basic scaffolding and then, we hang our rites on that. If you are Italian—your ceremonies might bring in what your great Nona did—or Philipino or French or Spanish? Or? Or combine the backgrounds of both parents? When it has archetypal and organic origins, it’s not so hard to weave it into your days. What does your own ancestry have to offer you that echoes your history and identity? Foods? Drinks? Stories? Songs? Decorations? What about the neighborhood you live in? Does it have an ethnic identity? Does what you do, lift up the family? Does it bear repeating year after year? Does it underscore the mystery that lies deep in what you are celebrating? Or is it tinny? Is it a commercial trick that is awkwardly pasted into your household? That Elf on the Shelf? You want to teach your children that life is a police state? Or that God’s omniscience is like that elf’s? We modern folk replaced the pointed mitre of the noble Bishop Nicholas with a pointed elf’s cap! We took away his noble and ancient robes and gave him a snow suit? We don’t know where heaven is so we lodge him in the North Pole. He is not attended by the intuitive angels we cannot see—but by elves? We’ve reduced him merely to a guy who sells more stuff than a bishop would. So. I want to return strength to what has become sentimental and commercial. Best of all. Many parishes have taken to what they learned in To Dance With God and have magnificent making parties, cooky baking feasts, St. Nicholas stories etc. They have learned that to WAIT brings drama to what is indeed worth waiting for…. And all of this is true also for the Saints’s days, the feasts and fasts throughout the year and especially Easter! In her last answer, Gertrud suggests that she looks to us ordinary families and parishes for continued inspiration. Does that sound like a challenge and an invitation to you? It does to me! What would help you embrace it? Finally someone who articulates my nagging discomfort with Santa Claus! Why have we rolled over and played dead on that issue? I did when it first appeared. My concern is that busy working mother’s don’t have time to design alternative programmes for their kids, and are overwhelmed by our culture’s obsession with SC, and end up feeling like “grinches” for not participating. I’m bothered that even our church families have bought into the jolly old elf. It’s all about sentiment and nostalgia I’m thinking. We relive our childhoods at Christmas time, and Santa Claus has been around in North American culture for 200 years. I have no solution, just an observation. I’m guessing we’ve decided that if ‘you can’t beat ’em, join ’em’. I’ve always been captivated by Gertrud Mueller Nelson’s art work but only recently discovered her wonderful writing. What a treasure we have in her work and presence. Thank you for interviewing her!